A wide variety of Fruit Candies made the natural way preserving the best possible nutrition and the goodness of the fruit, will surely excite your taste buds. 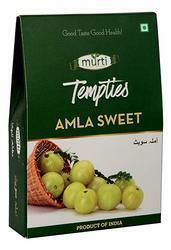 With a firm commitment to quality, our organization is engaged in offering a wide ambit of Amla Candy Tempties to our clients. 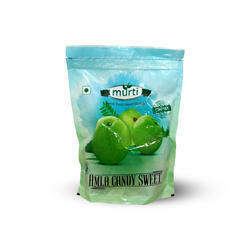 With an objective to fulfill the demands of our clients, we are engaged in providing a wide array of Amla Sweet Candy Pouch 250g to our clients. Backed by rich industry experiences; we are highly engaged in offering a premium quality range of Amla Sweet Candy 500g to our clients. 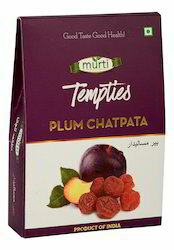 Plum Chatpata Tempties is one of the best selling product in our list. The taste and feel of the product is just unresistable. Just open the packet and it's so very difficult to keep your hands off the plum till its over. Keeping in mind ever-evolving requirements of our respected clients, we are providing a premium quality range of Amla Chatpata Tempties to our clients. 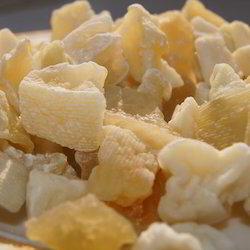 With sincerity and hard work of our professionals, we have carved a niche for ourselves in this domain by offering a premium quality gamut of Bael Candy to our clients. 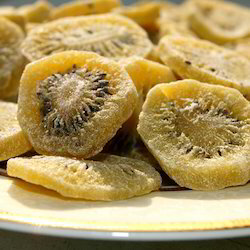 With our in-depth knowledge of this domain, we are actively engaged in providing an excellent quality range of Dried Kiwi Candy to our clients. Being one of the renowned organizations in the industry, we are highly engaged in providing a premium quality range of Mango Candy to our patrons. 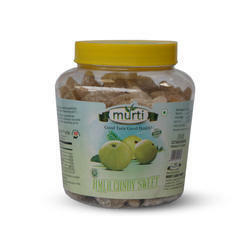 With our vast experience & knowledge in this field, we are engaged in providing a quality-assured range of Amla Candy Sweet Jar 500g to our clients. 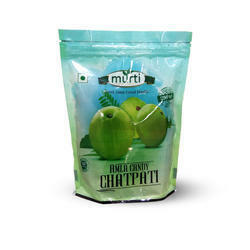 Riding on unfathomable volumes of industrial expertise, we are engaged in offering a broad assortment of Amla Candy Chatpati Pouch 250g to our patrons. 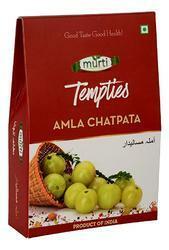 Amla Candy Chatpati Pouch 500g (Indian gooseberry) is rich in vitamin C and has a lot of antibacterial properties. We process amla from raw to dried form so that it can be munched anytime. 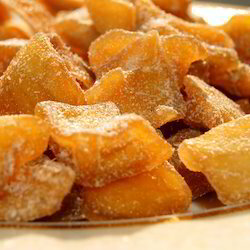 The blend of spices and condiments gives a perfect taste on the tongue. Also, this is a very healthy snack. 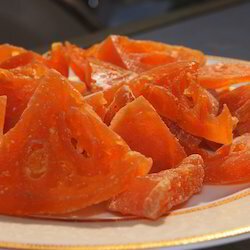 Keeping track with the latest market trends, we are devotedly engaged in offering a wide assortment of Papaya Candy for our clients. 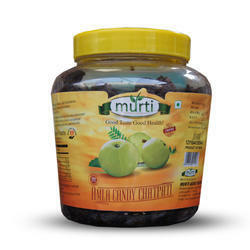 Riding on unfathomable volumes of industrial expertise, we are engaged in offering a broad assortment of Amla Candy Chatpati Jar 500g to our patrons.